This is a large tutorial library created by Ming Tang, Registered Architect, RA , NCARB, LEED AP (BD+C). How to access the password-protected tutorials in your website? Option 1: Take Prof. Tang’s courses offered at DAAP, University of Cincinnati. Option 2: Purchase Prof. Tang’s book Parametric Building Design with Autodesk Maya to get the password to access both Maya tutorial, as well as this larger library including all other software. Please read this QA page to gain your access. Are the example files downloadable? Yes. Some tutorials have Maya file, Rhino file or Grasshopper script provided in the post. You can right click the link and download files. By downloading this file, You agree that You may only use and modify the content in these exercise files during the term of your learning subscription and for your own personal use in practicing the skills. Distribution of the content is not permitted. Yes. The old videos before 2015 in this website were encoded in Flash FLV format. You can watch them directly using web browser in computer. For iPad user, you have to use third party bowser such as Photon ( $4.99) to watch Flash video. The new videos after 2015 are MP4 format. You can watch directly trough web browsers of mobile devices with IOS and Android. 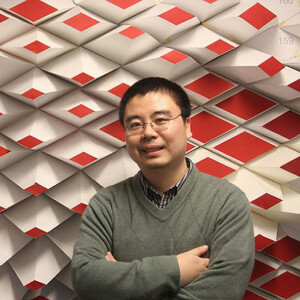 Ming Tang is an tenured Associate Professor at School of Architecture and Interior Design, University of Cincinnati. He is the founding partner of TYA Design, which has won numerous design awards in China, Spain, Mexico, U.K. and United States. Before he taught at the University of Cincinnati, he led the Electronic Design program ( Digital Design + Computation) at the Savannah College of Art and Design and was a professor in the Architecture Department. 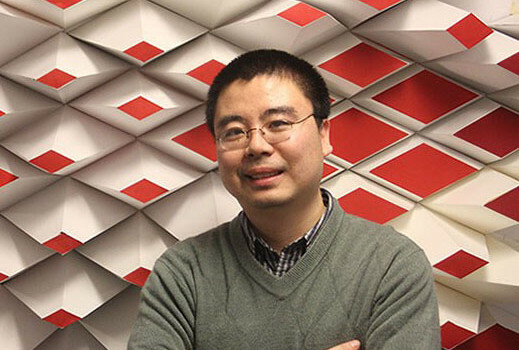 He has worked with Michigan State University’s M.I.N.D Lab, University of Southern California’s Institute for Creative Technologies, and China Architecture Design & Research Group. He holds Master of Architecture Degree from Tsinghua University, Maser of Art Degree in Digital Media and Technology from Michigan State University, and Maser of Final Art degree in Interactive and Game Design from Savannah College of Art and Design. His multi-disciplinary research includes computational design, digital fabrication, BIM, performance driven design, virtual reality & augmented reality,crowd simulation &way-finding, and human computer interaction (HCI). His research has been published in various international conferences, journals, books and exhibitions. He is the author of the book, Parametric Building Design with Autodesk Maya, published by Rougtledge in 2014. and Urban paleontology, evolution of urban forms, published in 2008. The book promotes parametric design. It integrates the theoretical research of computational design and Maya non-linear modeling techniques associated with simulation, animation, digital fabrication and form-finding within 2D & 3D design. Collection of projects from students Ming Tang’s taught at various institutions.